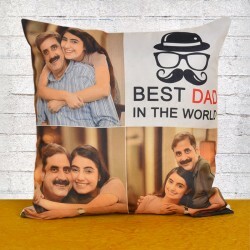 Surprise your dad in the most exquisite way by choosing a suitable gift from our Father's Day gifts collection and sending it to him in Ghaziabad. 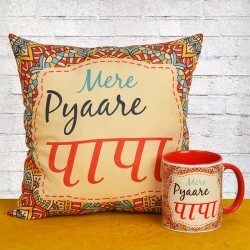 With us as your perfect gifting partner this Father's Day, he is sure to love the gifts going his way on this special day. Order now! 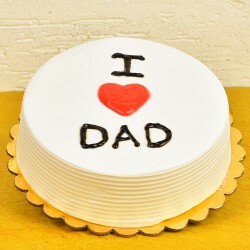 It's hard to imagine a special occasion in your life without contributions from our dear dad. Fathers are more than just mere caretakers of the family. They administer joy in the home by their light hearted wisecracks, cunning pranks and gestures. No birthday or anniversary is a party without the presence of dad in the house. Such a special member of the family needs to be celebrated for the crucial role he plays at home. Making him feel special this Father's Day is all that is required of you. 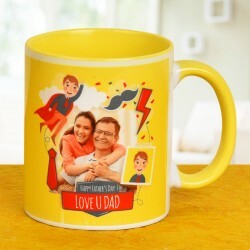 Be the ideal child and place an order for father's day gifts Ghaziabad delivery. 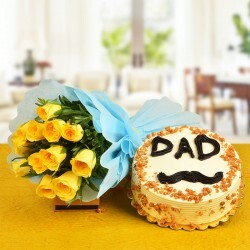 It's easy to send Fathers Day gifts to Ghaziabad with MyFlowerTree. 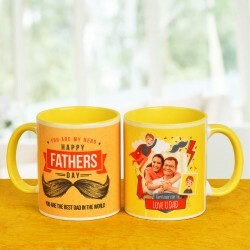 Avail Fathers Day Gifts Delivery Ghaziabad and choose from our choicest selection of fathers day offering. 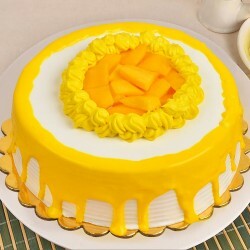 Our collection includes an interesting range of delicious and moist cakes that come in a wide variety of flavours. Choose your dad's favourite flavour and select the design that you like the best. We also stock up a fine range of luxury and handmade chocolates that can hook any chocolate lover up. Our cookie boxes and cupcake sets set the party mood just right. If your father is someone who appreciates everything ethnic, we also have on offer some premium sweet boxes that come laden with Indian sweetmeats. For every one on the lookout for a special gift for their dads our range of indoor potted plants add a distinct zest to his workplace. 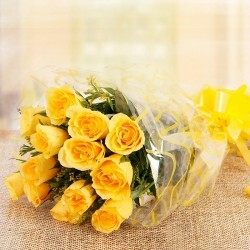 We also offer fresh flower bouquets and arrangements that use exotic varieties of flowers that can lure him with their beauty. Some desktop accessories on offer on our website, freshen up the boring office area he spends his time working in. Our range of grooming kits jazz up the way your father carries himself from now on. 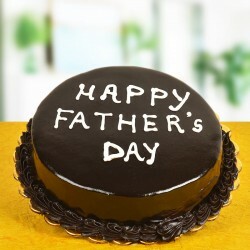 We have a dedicated section forFathers Day gifts Ghaziabad delivery to help you make choices in a convenient way. 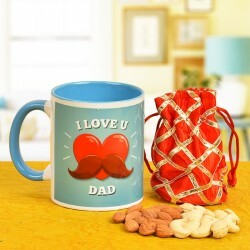 MyFlowerTree is a pioneer when it comes to Father's Day gift delivery in Ghaziabad region. Just log onto our website and scroll through our wide range of offerings. 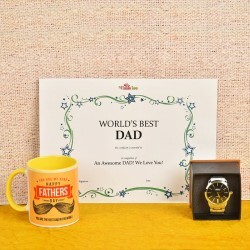 Depending on the type of personality your dad has, choose a suitable gift for him. Once you make the choice of gift, add it to your cart and make payments. Sit back and relax as we rush to source the gifts and offerings of your choice and deliver the best to your father's door. The physical distance between your dad based in Ghaziabad and you doesn't matter when you have us. 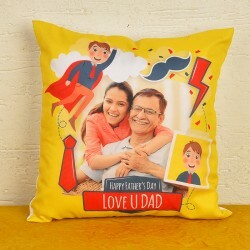 Be it from anywhere in the world, our website is your one-stop shop for sending fathers day gifts to Ghaziabad. 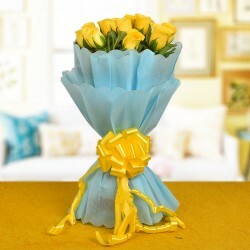 We offer next day delivery and same day Fathers Day delivery in Ghaziabad too. 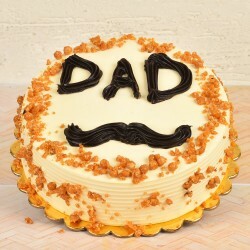 If you are someone who loves to plan an off beat surprise, we offer midnight fathers day gift delivery too.